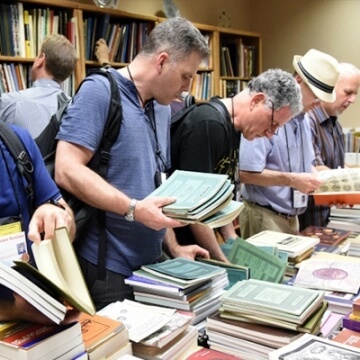 Summer Seminar is a once-a-year opportunity for numismatic learning and camaraderie that offers students a varied selection of week-long courses designed for discovery or continued study. 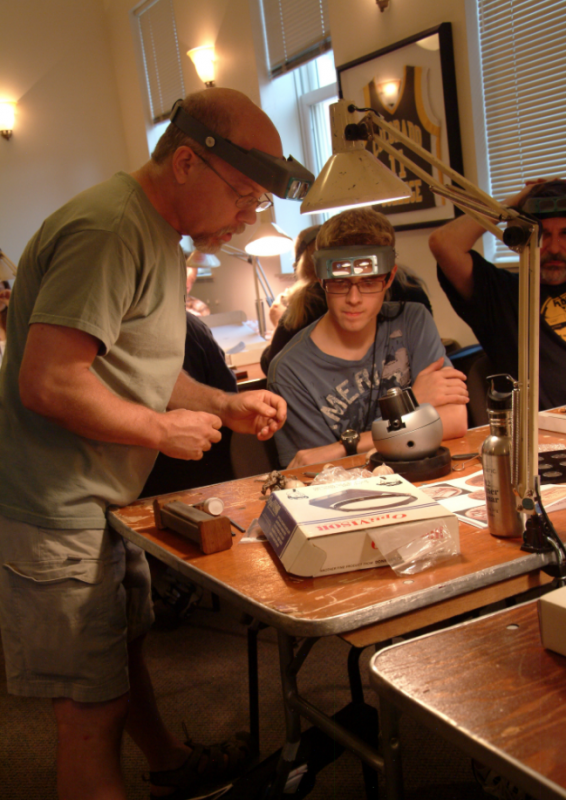 For 50 years, Summer Seminar has featured classes to suit virtually every collector's hobby needs. 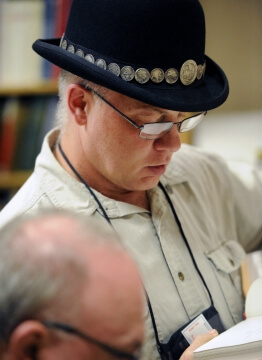 Most importantly, everyone attending Summer Seminar shares a common trait: a passion for numismatics. To learn more about the ANA’s annual Summer Seminars, please explore the menu below, or contact us at (719) 482-9810 or via email at seminars@money.org. 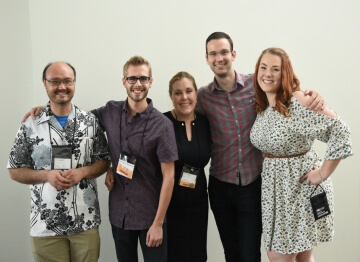 Summer Seminar, held annually at Colorado College*, is a once-a-year opportunity for numismatic learning and camaraderie that offers students a varied selection of weeklong courses designed for discovery or continued study. 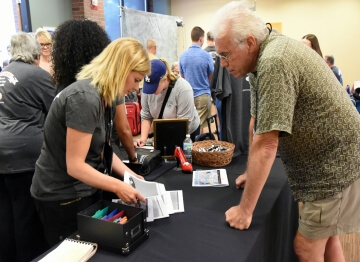 For many students, Summer Seminar is a life-changing event; it has catapulted the careers of several of the nation’s most respected collectors, authors and dealers. 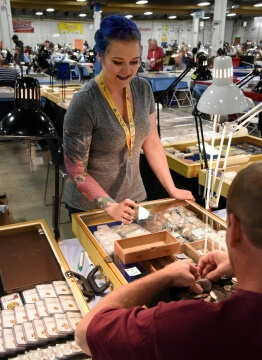 For over 40 years, Summer Seminar has featured classes to suit virtually every collector’s hobby needs. 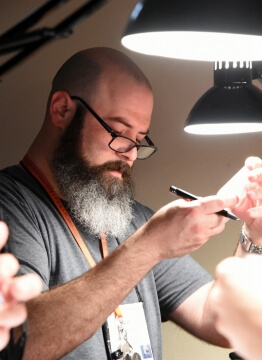 Here are just some of the topics offered each year: Grading United States Coins, Detecting Counterfeit and Altered Coins, Coin Photography, ancient Greek and Roman coinage, Early American Copper Coinage, Colonial Americana, Morgan Dollars, World Numismatics, and much more. 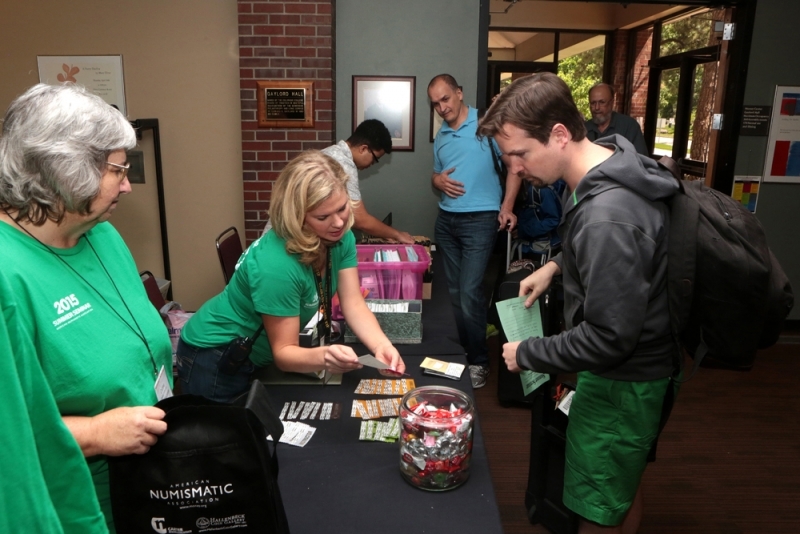 Most importantly, everyone attending Summer Seminar shares a common trait: a passion for numismatics. Your classes are true seminars: students gathered in small groups with everyone an active participant. 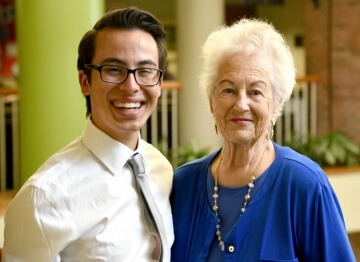 You’ll learn from instructors who are recognized leaders in their fields, and from the collective experiences of fellow students, who range in age from teenagers** to seniors. Students may select from a variety of tuition and lodging options to meet their needs, preferences and budget. Most stay in Colorado College campus dorms, but many elect to stay in nearby hotels and inns. 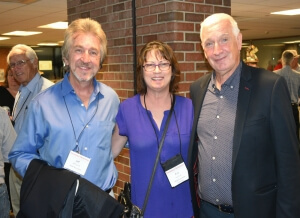 Optional tours, seminars and lectures, special events, great food, receptions and banquets, and daily opportunities to visit the ANA’s Edward C. Rochette Money Museum and Dwight N. Manley Numismatic Library round out a perfect week of numismatic immersion. Those not wishing to join an organized activity may also choose to visit any of the hundreds of great attractions, restaurants and entertainment venues of Colorado Springs and the Pikes Peak region--one of America’s most popular family tourist destinations. Rarely do students or instructors attend just one Summer Seminar. More than 70 percent of them come back time and time again for the education, friendships and camaraderie. There are reasons our students and instructors are so loyal and enthusiastic about Summer Seminar. Try it and see. 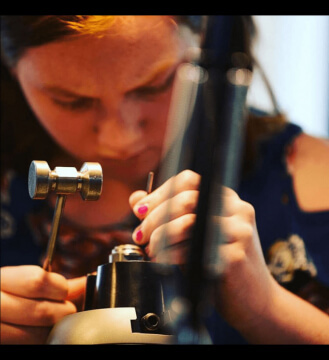 **While the majority of students are adults, more than 40 young numismatists— ages 13-17 — grace Summer Seminar each year, bringing youthful enthusiasm and new perspectives to classes. 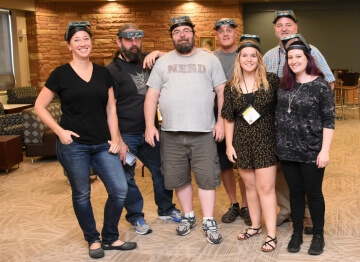 Over the years, many of these YNs have become hobby leaders, and many of Summer Seminar’s veterans have played a key role in encouraging their success. YNs stay in a Colorado College dormitory with counselor supervision. During the week, YNs have the same opportunities as adult students. They attend class during the day and can take mini-seminars or tours in the evening. 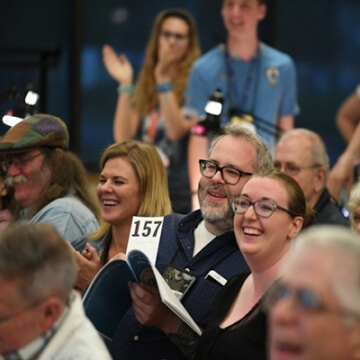 YNs also organize and conduct a benefit auction, with all proceeds directly benefiting the YN Summer Seminar Scholarship Fund, which helps dozens of YNs attend the best educational event in numismatics every year. View and download the 2019 Summer Seminar Policies & Regulations form here. The ANA reserves the right to cancel courses with inadequate enrollment numbers. In the event of this type of cancellation, students will be notified by May 1, and ANA will issue a full refund of the registration fee (but will not be responsible for any other charges incurred by the registrant due to the cancellation of the course). 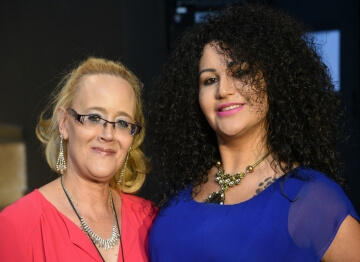 Registrants canceling on or before May 15, may receive a refund less a $50 cancellation fee, or keep a credit with us for a future seminar without penalty. Registrants canceling after May 15, are not eligible to receive any refunds. Registrants have the option to keep a credit with us for a future seminar minus a $150 cancellation fee. Registrants who do not show up for Summer Seminar will forfeit all funds. 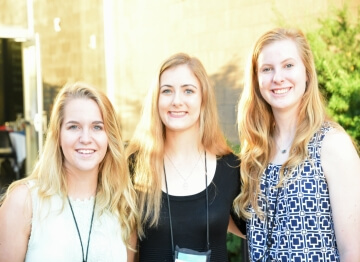 Find youth and adult scholarship applications for Summer Seminar 2019 here! 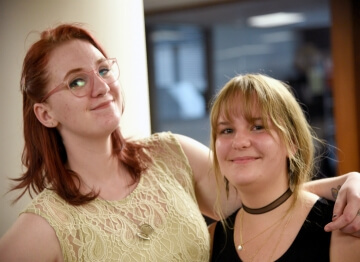 The Graduation Reception is free to all Summer Seminar participants and is an opportunity to celebrate the week’s achievements with instructors, staff and fellow students. 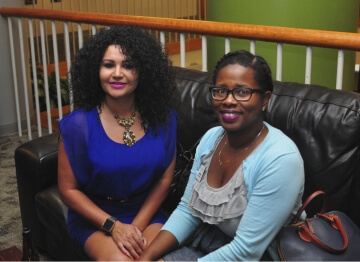 Wine and cheese, as well as nonalcoholic beverages, will be served. The banquet is free for on campus students. For off-campus students and guests, the fee for attendance is $50. For more information please contact the seminars department at (719) 482-9810 or email seminars@money.org. 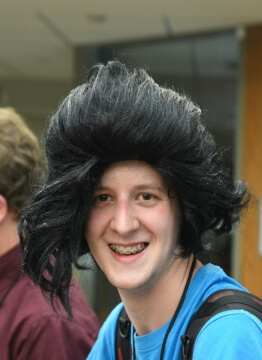 For over 20 years, the YN Auction has been one of Summer Seminar’s most successful and fun events. 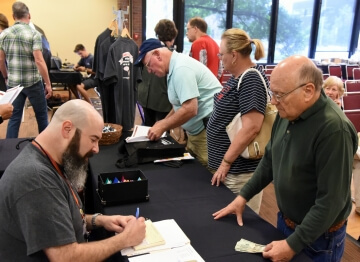 Students, instructors, local collectors and ANA staff fill the auction room and enthusiastically bid on a wide variety of numismatic lots - U.S. coins, ancient coins, paper money, tokens, medals, exonumia - just to name a few. 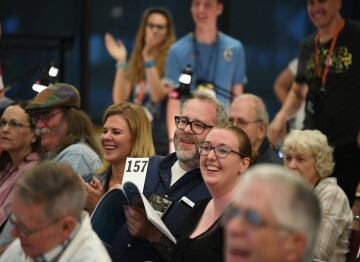 The auction is a great learning experience for Young Numismatists who all chip in to create the catalog, collect the lots and organize the event. 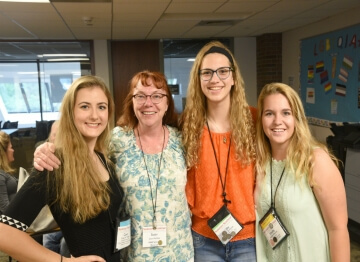 YNs rely on the generosity of members to donate items and all proceeds directly benefit the YN Summer Seminar Scholarship Fund, which helps dozens of YNs attend seminar every year. 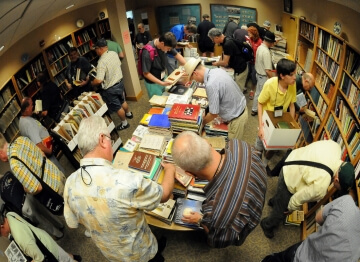 Surplus books, periodicals and auction catalogs are available for sale at discounted prices. Books are available on a variety of numismatic subjects including world and U.S. Coins, paper money tokens, medals, ephemera and more. 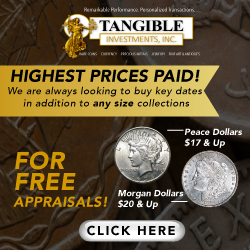 The proceeds benefit the Dwight N. Manley Numismatic Library. 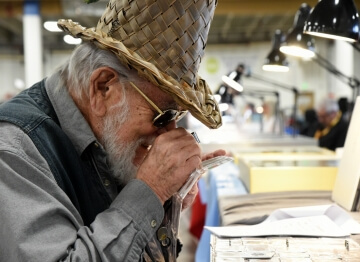 COLORADO SPRINGS COIN, CURRENCY AND COLLECTIBLES SHOW -- FREE! For more show information, call (719) 641-2700. 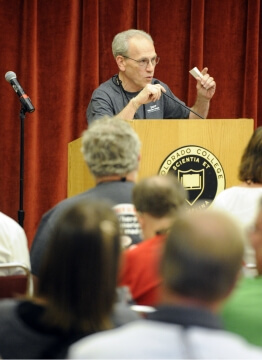 "For years I had wanted better more comprehensive numismatic education. Summer Seminar seemed like it might be the opportunity I wanted. It has been my privilege to go the past two years. Summer Seminar exceeded myexpectations. The summer seminars are a wonderful experience. 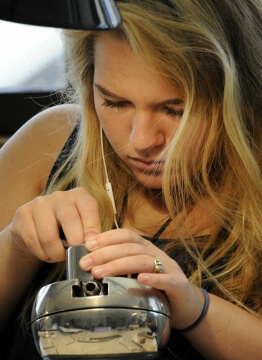 If you areinterested in numismatics you are interested in summer sessions. It is educational, fun and interesting. 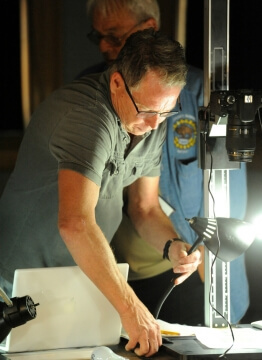 The instructors are extremely knowledgeable, helpful, & frequently entertaining. The ANA staff are efficient, knowledgeable & exceptionally good to help you, (even bailing me out of a parking jam last summer on their own). Summer session has become a "must" event on my calendar. As a bonus you make wonderful friends with like interests." 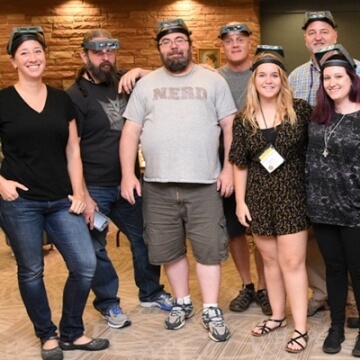 "The more I learn, the more I want to know and I believe the ANA Summer Seminar is the best place to gain knowledge in all aspects of numismatics. 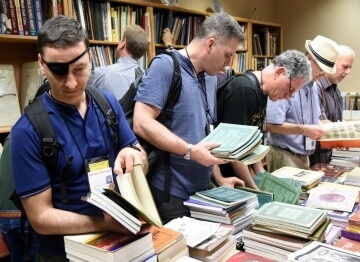 The quality of their classes, the experience and knowledge of their teachers, their tireless volunteer helpers, and the camaraderie that occurs among all of these groups is what especially draws me to want to participate in the ANA Summer Seminar – not to mention the fact that I simply don’t want to miss out on another great numismatic adventure!" 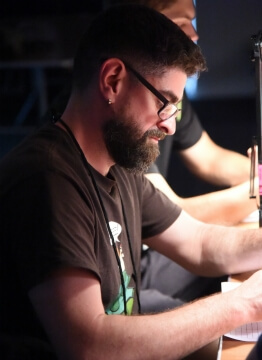 "I attended my first ANA Summer Seminar in the summer of 2000 and I have attended every summer since. 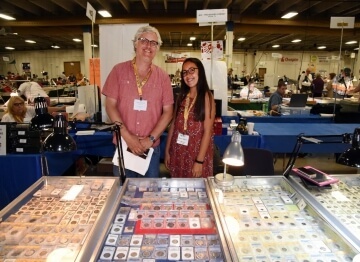 It is a wonderful numismatic experience in which to learn more about our hobby while, at the same time, meeting collectors from all over the USA and the world who share your collecting interests, as well as meeting and conversing with some of the best known names in numismatics today. 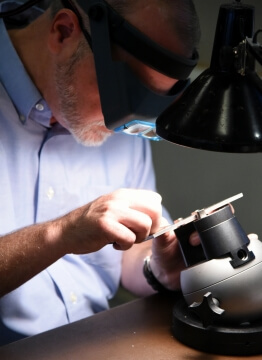 The ANA's education department makes every effort to provide a schedule of courses in which every collector can find something of interest no matter what their area of numismatics is. Whether you choose to attend one week or both weeks you will find your experience a rich and rewarding one. But be forewarned, you might in time find yourself, like me, evolving from being a student to teaching courses as well!" "I clearly remember attending my very first summer seminar in 1996. I was excited yet a bit apprehensive to be going somewhere for an entire week where I did not know anyone. I made friends almost immediately, and was amazed at how much I learned in the grading class. The experience was so positive I have attended every year since. 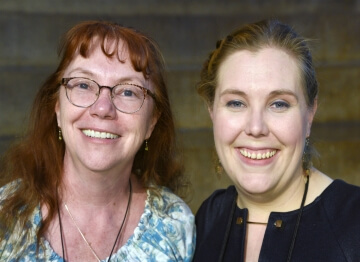 Today, I find myself planning my 21st Summer Seminar, and while I know I will gain valuable knowledge, as I always do, the thing I most look forward to is seeing old friends, many of which I have known since that very first trip to Summer Seminar." "Where else can you go and meet the top people in the world and have them teach you about their business and hobby; and do it for free. When I retired I wanted to find out more about a hobby that I enjoyed with my father and possibly start a small business. The first time that I attended the Summer Seminar, I came away with more knowledge than I ever thought that I would. So the next year I went for two weeks and have attended every year since, except for the week of the wild fires. So now when I go to a show or see someone’s collection, it is like a treasure hunt. Knowledge is the key! I just want to thank the A.N.A. and the instructors for the Summer Seminar." "My life was great! I had “been there and done that”. Finally, I made time to attend Seminar and found that I needed another life! So much to learn! It has been the high point of every year since. Great friends, great knowledge, great memories!" 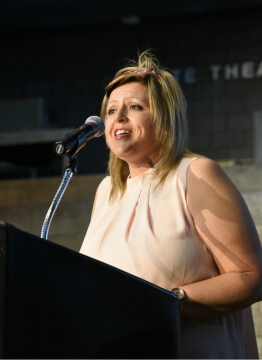 "Summer Seminar is a grand learning opportunity from subject matter experts; but just as significant is the comradery not only with fellow students but with the instructors, whom I have found to be very approachable inside and outside of class. And Susan the ANA staff go the extra mile to make it an enjoyable experience." "In both possible interpretations I am a foreign coin collector; A New Zealander residing in Vienna Austria who collects Non-US coins. My coin focus is different to the average American collector yet the highlight of my collecting year has become the ANA’s Summer Seminar. 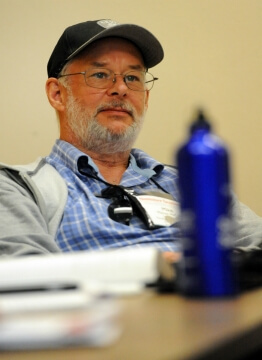 In 2013, after a number of years of contemplating the possibility, I attended both weeks of the summer seminar. Initially I was doubtful as to what I would get from attending, and I recall (now with amusement) my fear that it would be too American for me. 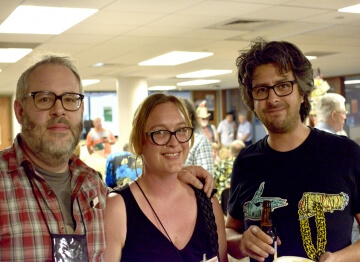 I soon discovered the summer seminar is a globally unique and valuable experience for any coin collector. I Found my 2013 experience so rewarding that I returned in 2014, 2015 and plan to attend this year. The summer seminar didn’t convert me to collecting US Coins, nor did it turn me into an American style collector. My attendance in Colorado Springs expanded my knowledge and provided me with a new perception of this hobby of ours. Collecting in Europe and being originally from Australasia I did, and still do have different approaches to collecting and grading of coins. The classes I attended, even though not directly related to my collecting interest, helped me understand the coins I collect far better than I would have otherwise. Outside of class I meet and established friendships with Coin collectors from all over the USA and the world (including Germany). Those contacts and Friendships have expanded my collecting network and now, more often than not, when I have a question I know someone who I can contact directly for assistance. For me Summer Seminar is a must attend experience."